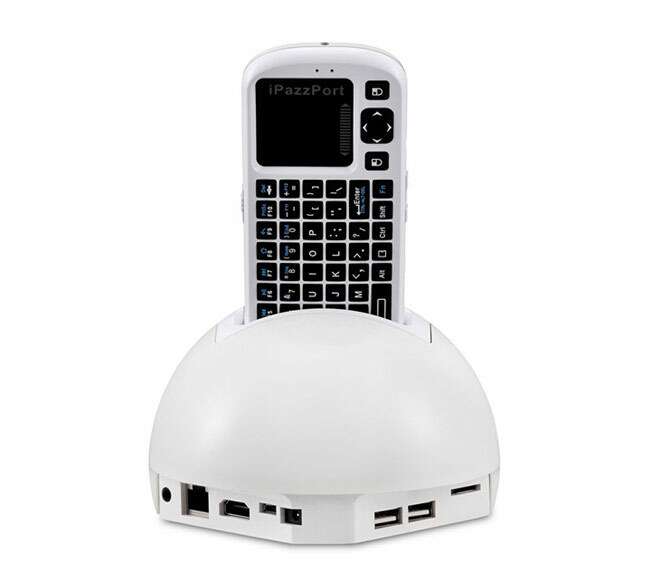 If you are looking for a new Android set-top box and remote control equipped with a full QWERTY keyboard, the new iPazzPort Pearl set-top box might be worth more investigation. 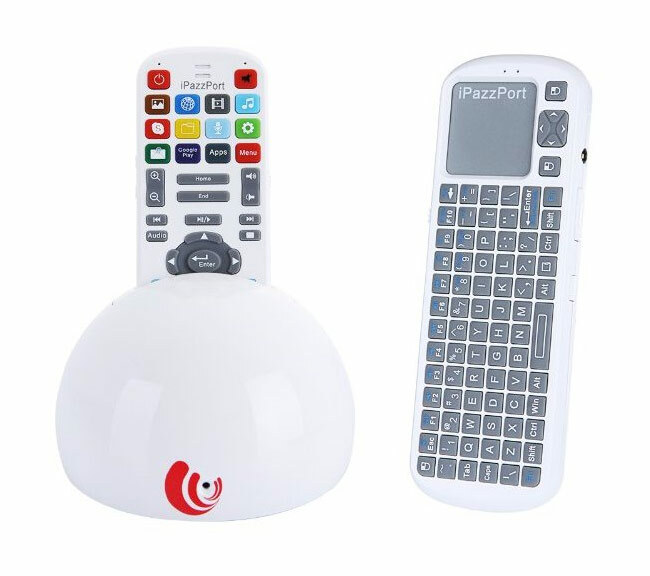 The iPazzPort Pearl has been designed to provide you with everything you need to watch media and surf the web from your HDTV and includes a remote control and also includes a handy QWERTY keyboard on the rear. The iPazzPort Pearl comes supplied running Google’s latest Android 4.1.1 Jelly Bean operating system and is powered by a Rockchip RK3066 1.6GHz processor and Mali-400 MP4 graphics, supported by 1GB of DDR3 RAM. Connectivity to the devices is provided by 802.11b/g/n Wi-Fi, a 10/100M Ethernet port and also 3G via external USB 3G dongle is required. The iPazzPort Pearl SY-20-19VC Android set-top box is now available to purchase for around $120 and is available from the likes of Amazon, Newegg, Aliexpress and DealExtreme.